FightVG: Poll Update: What Are Your Thoughts on Ultra Double Combos and Red Focus? Yay? Nay? Yay and Nay? 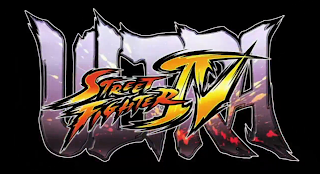 FightVG has been asking readers for their thoughts on the Ultra Double Combo and Red Focus mechanics that are making their way to Ultra Street Fighter IV. So far, in the lead on the poll is "I like both mechanics," with 37-percent of the vote. In second place is, "I like Red Focus, dislike Ultra Double Combos," taking 25-percent of the vote. Tied for last are, "I like Ultra Double Combos, dislike Red Focus," and, "I dislike both mechanics." Both options have earned 18-percent thus far. There is still 15 days to vote. To let your voice be heard, hover to top right hand side of the homepage where you will see a black bar. Click on the first option, and the poll will be available to you.